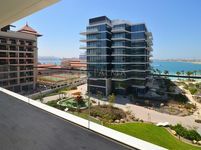 Live in Luxury Marina Residence 6 Palm . Palm Jumeirah is an artificial cluster of islands that has a lot of properties for rent offering very suitable option of residence for Dubai residents who are looking for chic and fancy community overlooking the sea and located in the heart of the city. Palm Jumeirah is one of Dubai’s most renowned real estate masterpieces, visitors from around the world reach Dubai in order to take a tour in a yacht from one of its marinas, or enjoy any of its recreational sites. Palm Jumeirah bounds with many residential communities that comprises a wide set of properties varying in type between villas, apartments, penthouses, townhouses, studios, and many other. It has also many hotels from world famous hospitality groups like Atlantis, St. Regis, and other. All properties are well services with facilities of the finest quality including schools, retail spaces, entertainment venues and other. There also hotel apartments offering full hospitality services to its tenants like laundry, cleaning on regular basis, maintenance, and many other. How to find a property in Palm Jumeirah? It has been made easier now. 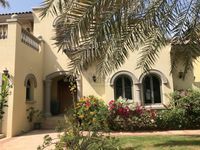 You can simply find a property to rent in Palm Jumeirah by checking the designated listing page for properties for rent in Palm Jumeirah on JustProperty website. There is a divergent set of properties including many types. The list is rich with different properties varying in size, location, and price. The list organization and design is made clear to facilitate searching process and make it very simple for property seekers to find what they have in mind. Our list of properties is provided by top vendors who are known for their professionalism and credibility. 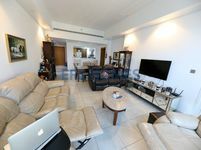 Each property available for rent in this area is featured with a set of professionally taken high-quality images and a description text drawing a vivid image of the exceptional style of living offered in this specific property. Also price is available for all searchers in addition to other needed information. The process of renting a property in Palm Jumeirah is as simple. Just browse our list, check the displayed properties and the description of each, then contact us if you find a property that suits your demands. Contact is accessible either through the displayed phone numbers or by email. All contact information is displayed, it’s available for all users. A dedicated team of sales professionals are available around the hour to get your call. They act at once to reply to your queries and offer full assistance. In order to move to your property, the tenant must first pay advance payment as well as insurance payment. He must also submit his personal papers like visa, ID or passport. After handing all these papers the contract is signed and the property will be available for the tenant to use. 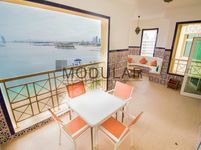 Living in any of the available properties in Palm Jumeirah is absolutely a bliss for any Dubai resident. 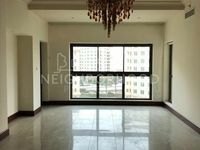 It means living in the center of the emirate near many of Dubai’s hotspot destinations and business zones. It also means having access to Dubai’s most vibrant public transportation network which is Dubai Metro, plus enjoying a wide set of amenities like swimming pool, sauna, steam bath, and other. Not to mention the facilities available to make daily life way easier.